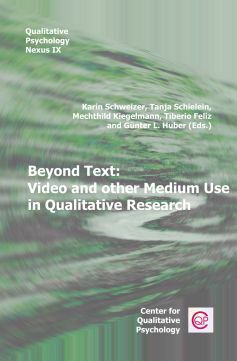 "Beyond Text: Video and other Medium Use in Qualitative Research"
comprises contributions of the 10th international meeting of the Center for Qualitative Psychology. It took place in February 20th-22nd 2009 in Weingarten, Germany. With this workshop we focused on video analyses and related forms of gathering data resulting in content analyses.